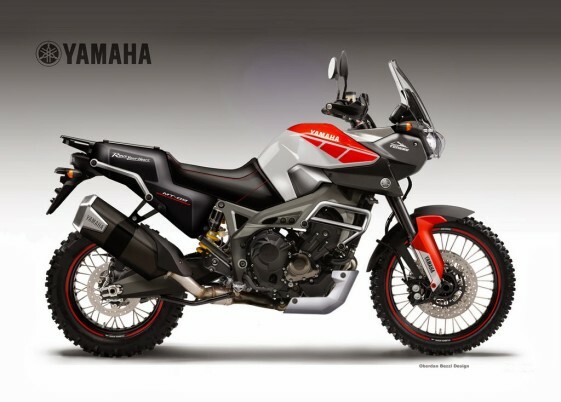  Dual sport concepts the famous designer thinks manufacturers should build. If ever the Zen and Art of Motorcycle Design is to be written, Oberdan Bezzi surely must be the inspiration. The flow of designs from his studio in Riccioni, on the north-east coast of Italy, reveal a personal quest for perfection, both in artistic rendition and the elusive mesh between innovation and market appeal. As a world-renowned designer, Bezzi likes to create concept bike sketches he believes manufacturers “should” build. They may not always agree, but some of Bezzi’s sketches have turned out to closely resemble models that later went into production (e.g. BMW S1000R). He also works with major manufactures like Ducati, Moto Guzzi and Aprilia as an external consultant and has had a hand in designing a number of bikes that have gone into production. 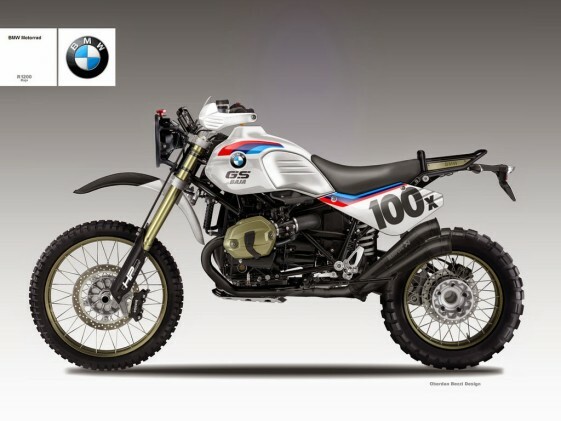 Inspired by the legendary off-road challenge in Mexico’s Baja peninsula, Bezzi’s iteration of the much-anticipated BMW Scrambler oozes race-ready appeal. Conceived as a limited edition promo to spearhead the scrambler’s future launch, Bezzi’s concept is based on the wildly successful R nineT roadster, the perfect “blank canvas” bike. Immediate impressions of the Baja speak of the German marque’s characteristically competitive spirit, but with an iconic flourish. Spoked wheels, 21” front, high-end forks, raised front fender, competition pipe, and a let’s-get-dirty stance leave little doubt about the Baja’s racing ambitions. Stripped to the bare essentials, a minimalist instrument cluster, telescopic forks and the air-cooled “oilhead” engine overshadow the high-end chassis, modern suspension and braking fitments. But a racing seat and streamlined tank leave no doubt about the Baja’s distance running ambitions; the kind of bike designed to chase down, and keep down, a trail of dust. The inspiration behind the MT 09 Triple Worldcrosser cannot be mistaken and surely is as close as any designer can possibly get to the ultimate long-distance adventure motorcycle. Boasting an under-seat auxiliary tank, crash bars, knobby tires, skid plate and headlight protector, the Worldcrosser clearly is the off-road version of what Bezzi reckons should be the next generation Ténéré. Yamaha, we suspect, knows that Bezzi has hit the sweet spot and that this particular rendition will blow open the middleweight sector, and more so if the aggressive Ténéré pricing is carried through. The MT-09 Naked Bike platform with its highly rated 857cc Triple engine is key. With 107 horses on tap, it packs a punch on par with the 1200cc Super Ten but the bike tips the scales about 50 pounds shy of what the BMW F800GS and Triumph Tiger 800 weigh. 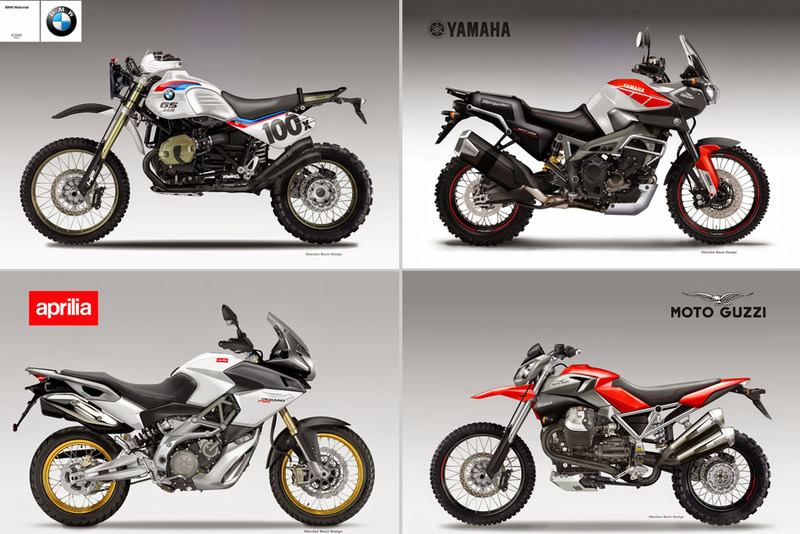 Put in adventure speak, even with heavier trim, Bezzi’s bike still outguns its rivals in power and weight. Who said pretty can’t punch? Bezzi is not scared to push the envelope and the Moto Guzzi X-Rally represents his progressive thinking, not only in the design of the bike, but also for advocating the entry of an up-yours scrambler in the enduro class. Inspired by the Stelvio NTX1200, the X-Rally appears to be a much better off-road prospect. The limitations of the cumbersome V-twin powerplant notwithstanding, Bezzi has improved its off-road credentials with a leaner look, robust frame, higher clearance, dual-sport tires and twin Akrapovic exhausts. More to the point, a redesigned seat makes for a more upright riding position and a new suspension for greater travel front and rear. Laudable as Bezzi’s efforts are, critics fixate on the Stelvio’s weight hovering around the 600 lbs (275 kg) mark, and the high-revving motor that loses out on low-torque grunt. Then again, Bezzi’s self-proclaimed mission is not to reconcile the impossible, but to challenge the status quo. This the X-Rally does, and more. 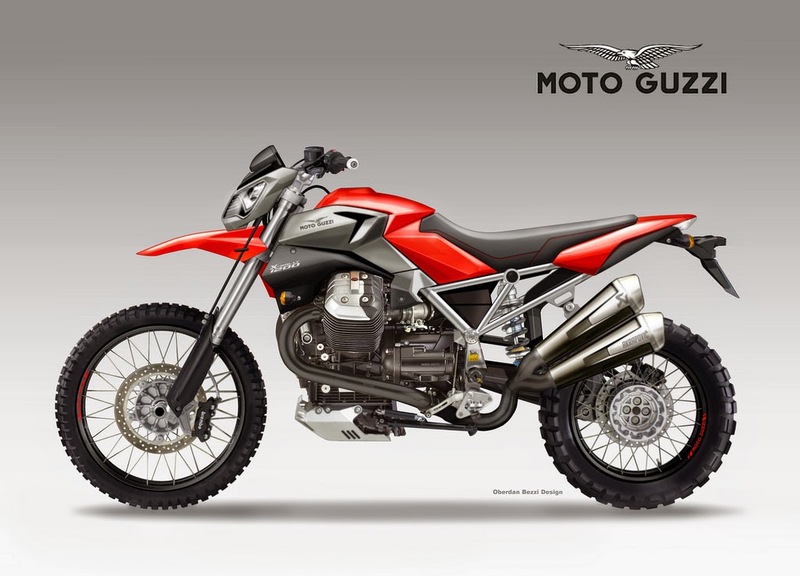 The demise of the Aprilia Pegaso 650 Trail and Honda Transalp XL700V left a vacuum in the middle-weight adventure motorcycle market, a gap Bezzi hopes to plug with the Pegaso 750 Trail V-Twin concept. Built around the same motor as that of the Dorsoduro 750 Supermoto, the styling is strongly reminiscent of the Caponord 1200. The motor seems a perfect fit – the V-twin configuration and six-speed transmission promises a highly tractable ride with enough oomph to cross a continent or haul a pillion. It’s appeal lies in the exotic package though, beautifully sculpted lines matched to the unique character of an Italian V-Twin. 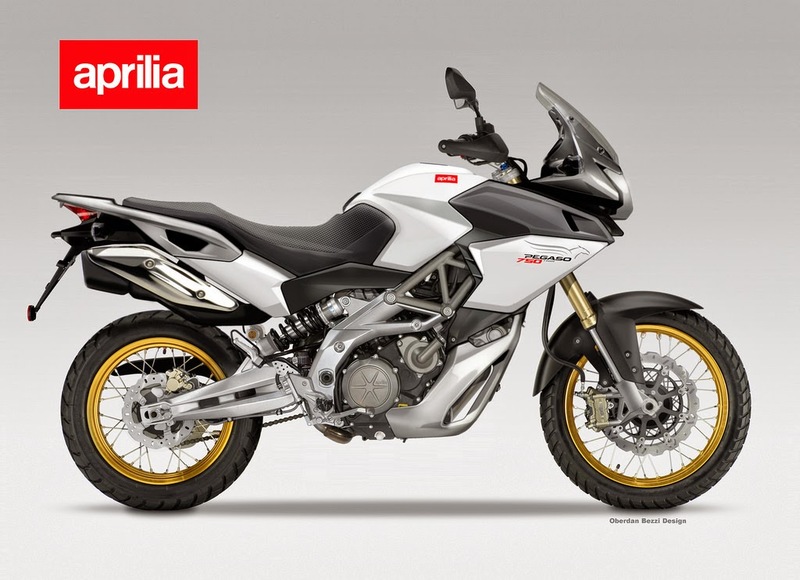 Others see the 750 Trail as the perfect cross-over between smooth tar and bumpy gravel, a true all-rounder with sultry Italian styling. As an F800 owner, I’d like to say that his MT09 is breathtaking ! Well done ! Wow. That BMW would be REALLY tall. If the Pegaso 750 became “real” and didn’t cost a gazillion dollars. I’d buy one in a heartbeat.